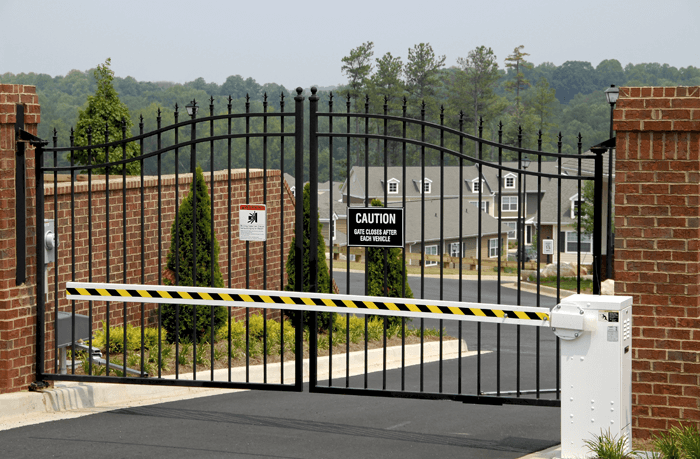 If you are looking for electric gates, barriers or bollards for your premises in Washington, then look no further than Automation & Security. For over 20 years they have been protecting the North East with a wide range of perimeter protecting solutions. It all starts with an initial survey of your existing security systems and their professional team will then recommend products according to your budget and needs. Automation & Security deliver, supply, install and maintain all of their products, and work with the leading manufacturers in gate automation and access control. Automation & Security provide a wide range of manual and automatic barriers in Washington. Barriers are a great way to manage traffic flow and stop unauthorised access to sensitive areas to your property. All of their security barriers are designed and tested to both British and American security standards. Bollards are a great security deterrent and are often seen in places where ram raid or vehicle theft could be an issue, such as car dealers. Automation & Security provide a wide range of options from static to retractable bollards. All of their security products are recommended by the biggest insurers and they work with the leading manufacturers for the highest spec products. Anti-Terrorism security systems are built to withstand both high and low impact and are often seen at premises which are at risk of ram raid. Automation & Security provide high impact electric gates, security barriers and bollards. If your intruder is of the flood kind, they recommend their wide range of flood defence gates to keep the extreme conditions at bay.